Being aware of comments on your Cacoo diagrams is great, but sometimes you need to get a specific someone’s attention — and fast. Today, we’re debuting our new mention feature in Cacoo. Now, you can tag exactly who you need a response from right in your diagram comments. 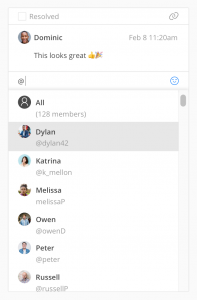 Note: Only Team plan users will have access to the mention feature. To mention another user in a comment, simply start typing the “@” symbol, then their username, and click on their profile. This links them to the comment and notifies them of the mention. You can also mention everyone in the shared folder that contains your diagram at once with a simple @all tag. When you’ve been mentioned, you’ll see a notification within Cacoo, and you’ll receive an email with the details. 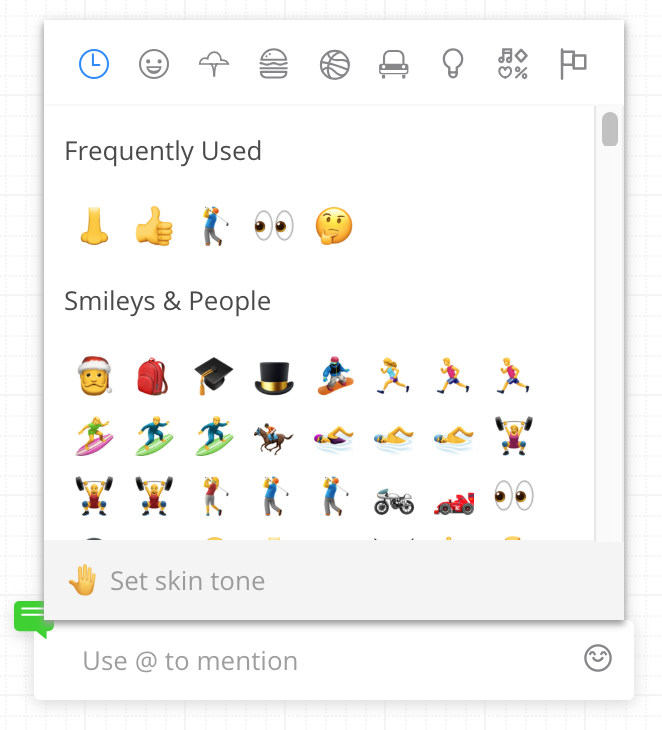 To infuse the comment experience with a little more personality, we’ve also enabled the use of emojis. Now, you can say what you need to with or without words — because sometimes an emoji is all you need. 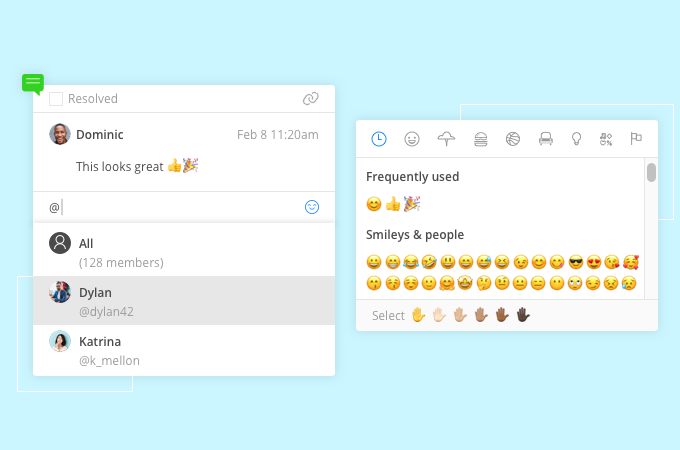 With mentions and emojis by your side, your comment threads are sure to come alive when working on your newest Cacoo diagrams. We can’t guarantee people will respond right away, but we can guarantee that we’ve helped you do all you can to alert and entice them.